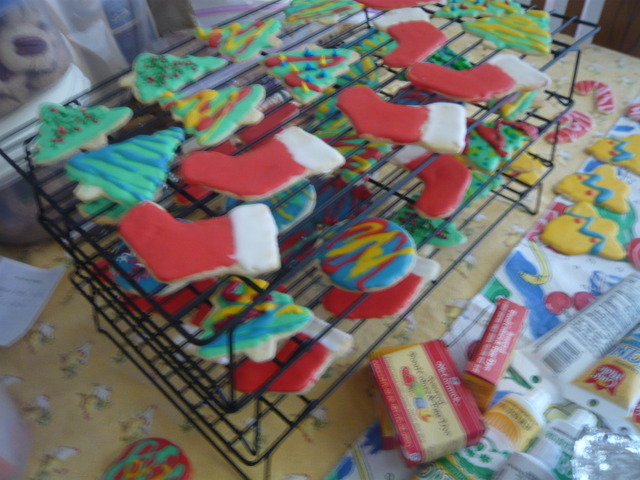 I make a number of Christmas cookies every year, here's this year's selection. Mix the usual way. 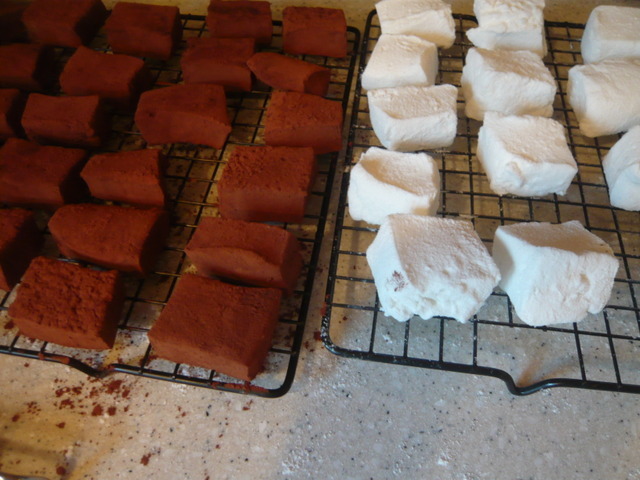 Make tiles using a cookie press and bake at 350F. (I'll try to get the metric measurements next year). 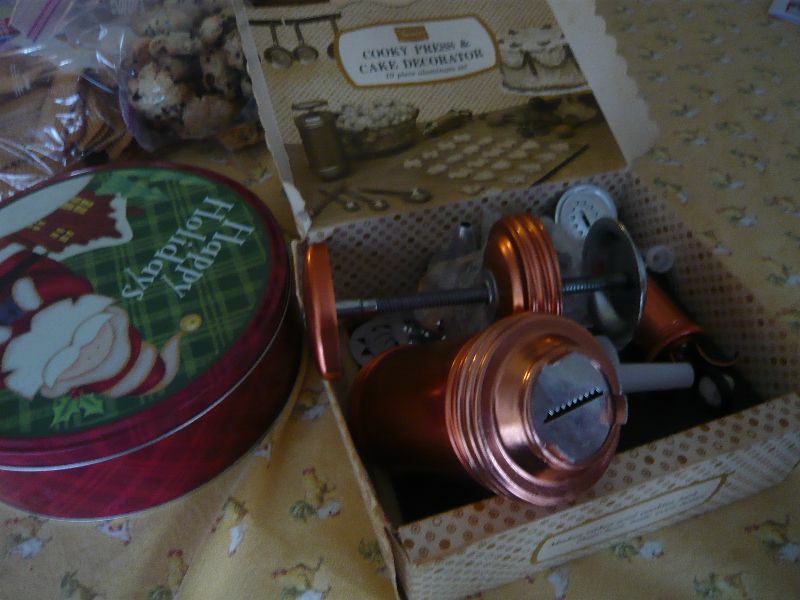 This is the cookie press I use for these. 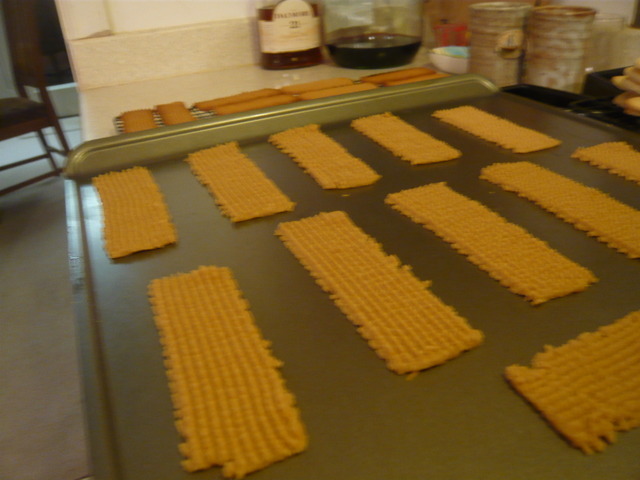 They look like this before baking and the finished ones are in the background. 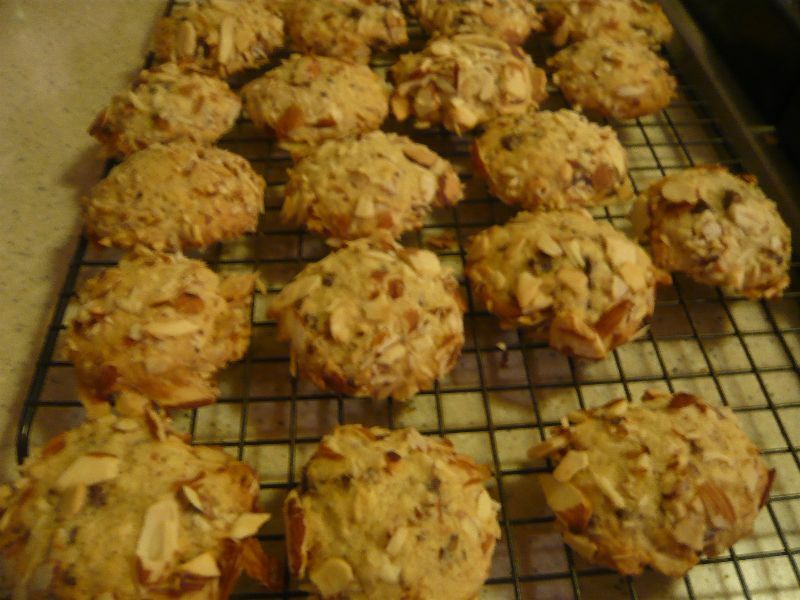 I make Martha Stewert's Ideal Sugar Cookies, She's a great baker and a savvy investor. Mine look a bit different than hers. Brown butter and allow to cool. Add sugar and vanilla then flour and baking powder. Mix well then form into 1 inch balls. 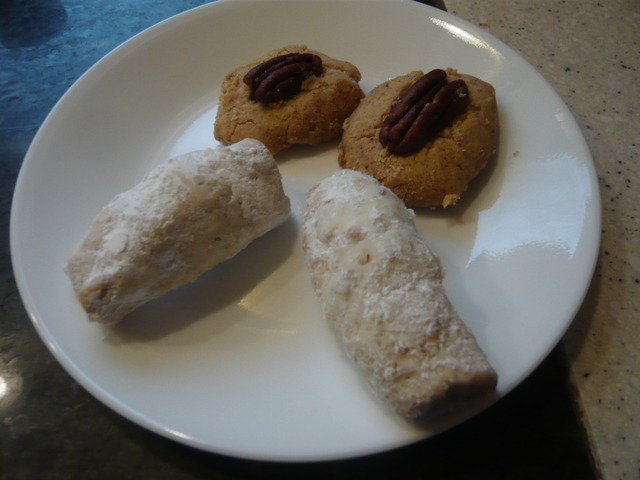 Flatten by pressing a pecan half into each. Bake at 325F. The browned butter should look like this. 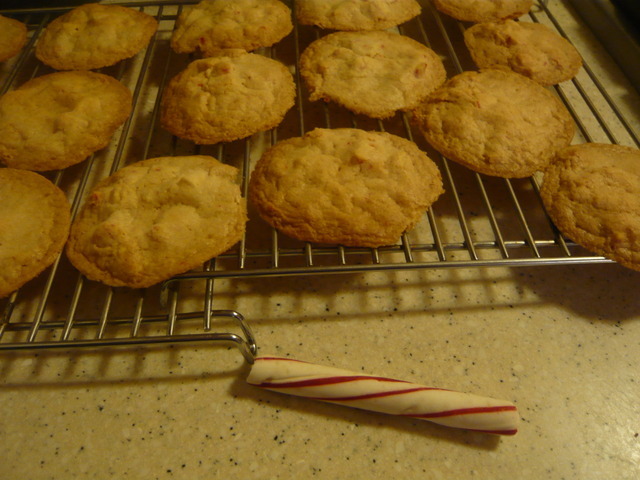 The finished cookie is the top one on the plate. Mix and form into wine cork shaped cookies. It helps to have warm hands as they are difficult to shape. Bake at 350F and roll in powder sugar immediately out of the oven. 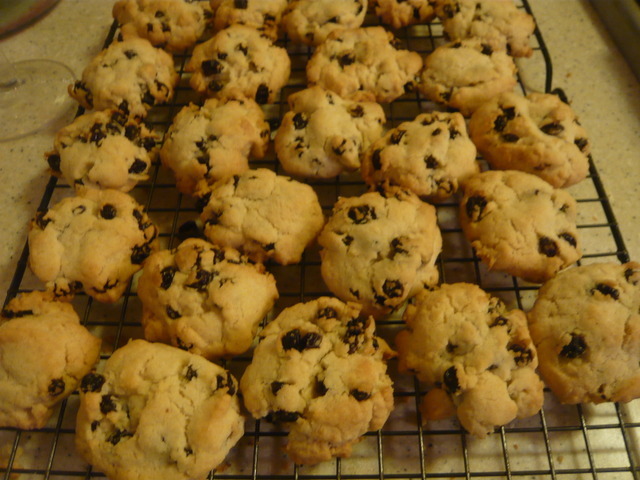 Finished cookie shown above on bottom of plate. Mmmm if only I wasn't diabetic, well done NCPaul they look really nice. You'll have to check the internet for the mixing instructions. Silpats help a lot with these. Mix and bake at 375F. Bloom the gelitin in cold water with the flavoring (other extracts can be substituted but avoid using essential oils as they will deflate the puff). Heat the sugar, water and corn syrup to soft ball stage 237F. 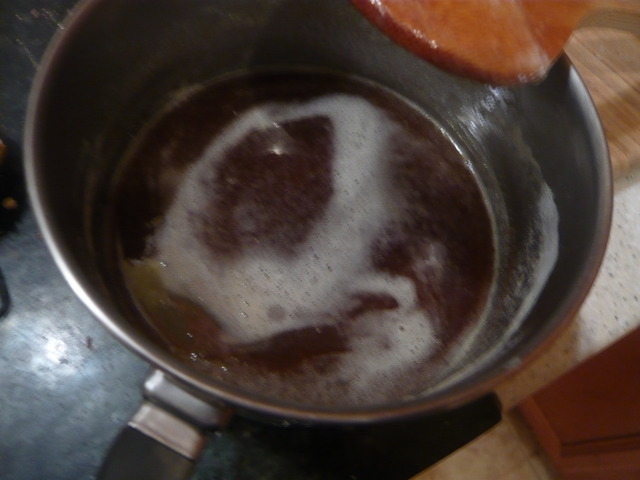 With a mixer fitted with a whisk at high speed, slowly pour in the hot syrup. 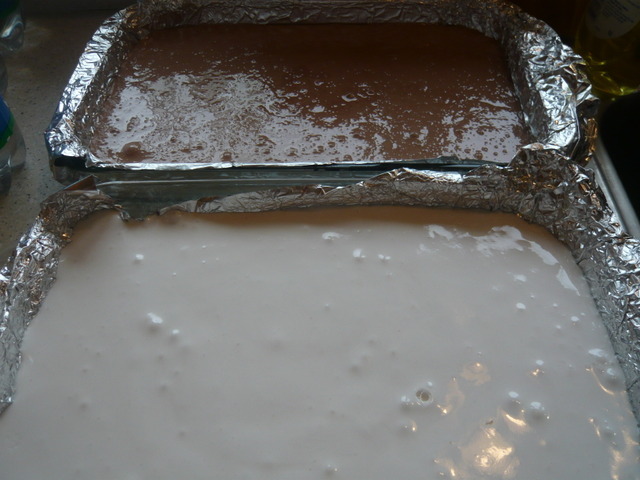 Whip for about ten minutes of until the mixture gains a lot of volume and turns opaque. Pour into a pan lined with heavily oiled foil. Allow to set overnight. Remove from pan and cut with an oiled knife (I used a pizza cutter). Toss with rice flour and powdered sugar. There is a huge discussion about them here. Those all look out of this world Paul, I think I just gained a few pounds just looking at them. 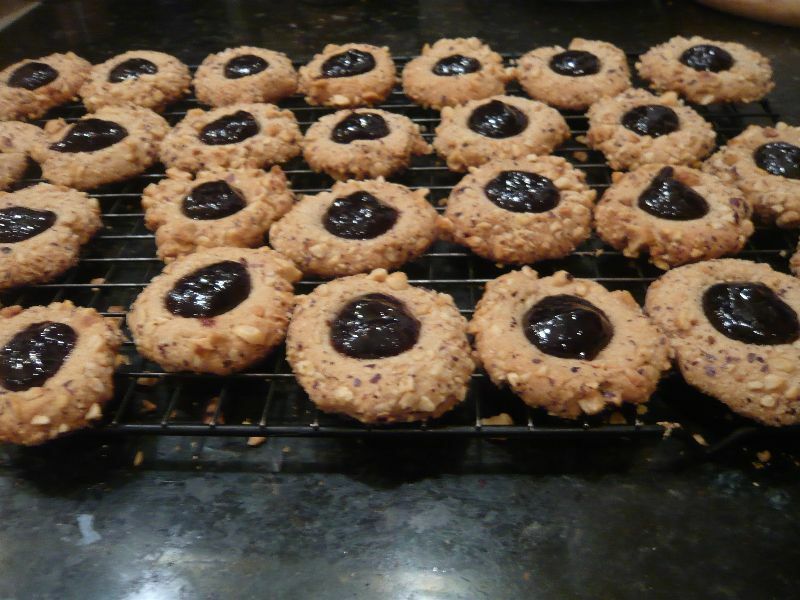 thanks for sharing the pic's and recipes. Enough of the sugar kick. 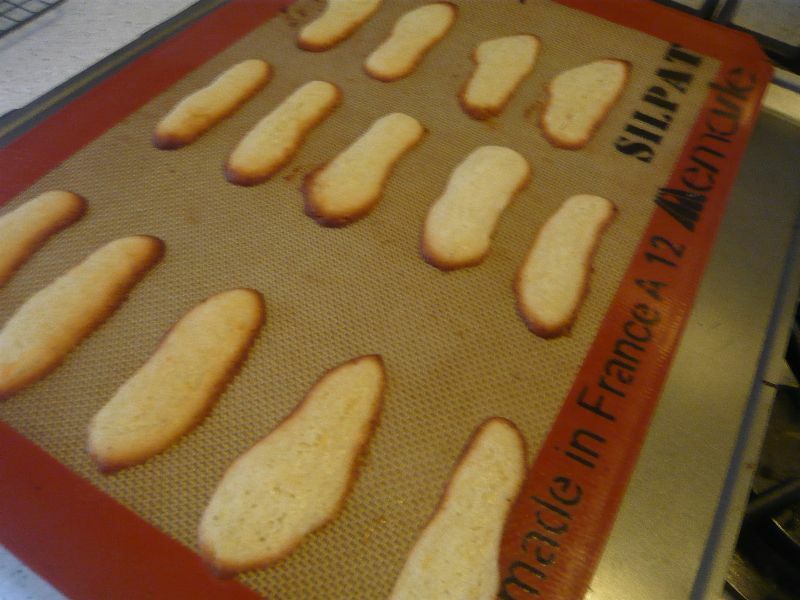 Any recipes for a savoury biscuit to complement the liver sausage recipes on site? I posted a recipe here that should be very good with liver sausage.